Shigeru Miyamoto, Nintendo's celebrated games designer and father of gaming icons such as Mario and Zelda, is to be honoured with a BAFTA Fellowship at this year's British Academy Video Game Awards. 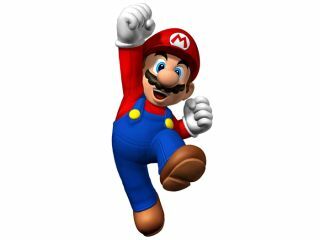 Miyamoto will pick up the honour at this year's BAFTA ceremony to be held on 19 March at the London Hilton, Park Lane and hosted by comedian Dara O Briain. "I am very grateful to be able to receive such an honourable award from the British Academy," said Miyamoto. "Our video games cannot be created by one person; since Donkey Kong until the most recent New Super Mario Bros. Wii, I have been working closely with a number of friends for three decades in order to develop fun and enjoyable games. I would like to receive this honourable award on behalf of all of these dependable colleagues." "The Fellowship is the highest accolade the Academy can bestow on an individual for their creative work and we are honoured to have Miyamoto with us to accept his award," said David Parfitt, Chairman of the Academy. "With previous honourees including Hitchcock, Kubrick and Pinter, it is only fitting that Miyamoto be recognised alongside these other pioneers for his groundbreaking work. He helped to develop an entire creative industry and is still a major force in its continuing success." 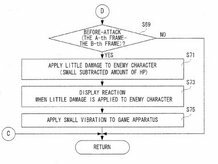 Nintendo recently patented a force feedback system which many are hoping to see implemented in the next version of its popular DS handheld. We hope to hear more on that from E3 this coming June.